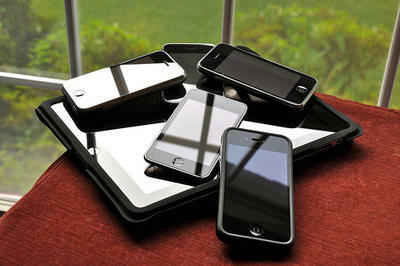 iPhone 5 Invites, New Kindle Fire, Windows Phone 8: Get Ready for a Huge Week in Mobile News! I landed on Sunday after spending a week in Berlin for IFA 2012. There were tons of products there and we covered a lot of them. But this week could prove to be much bigger in the mobile field. I don't usually drink caffeine but, today, I woke up and drank two iced coffees and cracked my knuckles in preparation for what's certain to be one of the most exciting mobile weeks so far this year. So what's going on? First, we're expecting iPhone 5 press invitations to go out any day now, and we expect Apple's announcement date will be Sept. 12. The iPhone 5 will run iOS 6 and is expected to offer a larger 4-inch screen, new earbuds, a new 9-pin dock connector, a revised form factor and much more. The invitation is enough to get us salivating, but there's plenty more going on this week. On Sept. 5, Microsoft and Nokia will hold a press conference in New York City where we'll no doubt see the latest Windows Phone 8 offerings from Nokia. We're expecting a dual-core processor in the Lumia 910, a high resolution display, a thinner body and a new variety of colors. Plus, on Microsoft's end, we're hoping to hear about brand new Windows Phone 8 features that weren't originally discussed during the official unveil back in June. Wait! There's more. Verizon and Motorola are also holding a press conference on Sept. 5, shortly after Microsoft and Nokia's, during which we expect the two firms to officially unveil the DROID RAZR HD. We're expecting a device with a kevlar back, a large 3,300mAh battery, a 13-megapixel camera, a 1.5GHz dual-core Qualcomm Snapdragon S4 processor, 4G LTE support and, as its name implies, an HD display. We'll also be attending Amazon's press conference on Sept. 6 out in Santa Monica, where the company is expected to introduce its latest Kindle devices, including the follow-up to its Kindle Fire tablet. We've already seen leaks of a backlit Kindle to compete directly with Barnes & Noble's Nook with GlowLight, but Amazon will also reportedly introduce two new Android-powered Kindle Fire devices. We're not completely sure what they will offer just yet, but we've already published an opinion piece on what we want from them. TechnoBuffalo will be covering all of these events as they happen, so stay tuned for a ton of coverage this week. There might even be a few surprises along the way.